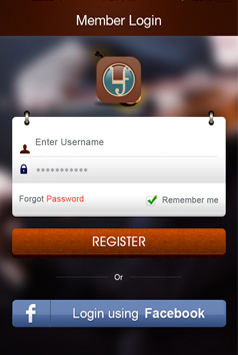 Learn Fiddle Application allows users who can register himself in the application either via email or via facebook. Once user registered himself successfully then user will be able to see the list of videos uploaded by the admin through the backend of the website. The users can purchase the videos or browse the free online videos through the app. 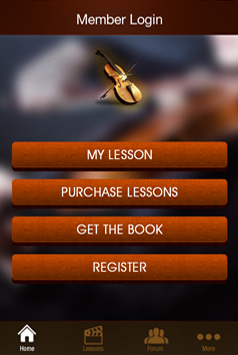 in addition, the users can also purchase the books to learn fiddle online. 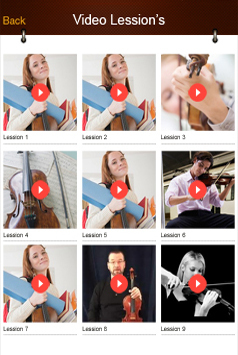 How Learn Fiddle App Works? Users can download the application which is available on iTunes Store. The app is created with a simple goal, helping the user who can see the list of free videos, paid videos, paid books that the users can purchase & watch it through the app. Once user purchased any videos/books then it will add into their list i.e. my videos/books section. The concept was very unique and the biggest challenge is to maintain the list of free and paid videos or books so that user will able to differentiate its clearly and watch it. The other technical challenge that we have to face is to follow the standard of the app store as finally we have to upload the app to the app store. There are certain norms of the app store (iOS and Android) that we have to follow before developing the website. The application is developed for iOS platform. So, we needed to assign dedicated, passionate team for iOS platforms. The team has been consistently monitored by the Project Manager to make this application delivered successfully. There were timely updates to the client in the form of the builds to approve the functionality from the client end. The collective functionality build was send to the client and after the approval of the client the app was successfully deploy on the apple store. I have been very impressed with the team that I have worked with at Flexsin. They did an incredible .. The team has been continuously researched to make the features compatible as per the desired frameworks and technologies. 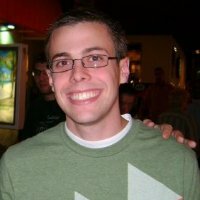 The admin management of the videos and the payment through the system was creating the problem. At the end, team has successfully implemented the feature of In-App purchase so that users will be able to purchase the paid videos or books. Flexsin has developed an application as per the Client expectations and requirements. The end product has been successfully delivered to the client and lives in the market.